For the tea lover. Because nothing goes better with books than a hot cup of tea. Something for the bedroom. If you like a little chaos, you would probably like the black background, and if you’re more conventional, then the white might be your thing! For the music lover. Why not turn your guitar case into a bookshelf, or your spouses one if its in the way lol. For the contemporary lover. Clean and simple is always beautiful! For those wanting a showpiece! Talk about a stand out and it doubles as a reading light. For the DIY lover … looks simple enough to install! However if you’re going to be tempted to clean the paint splatters off the ladder, rather get a new one lol. For the recycler. Anything can be repurposed and turned into a bookshelf! For the industrial designer. Making functional pieces out of almost nothing! 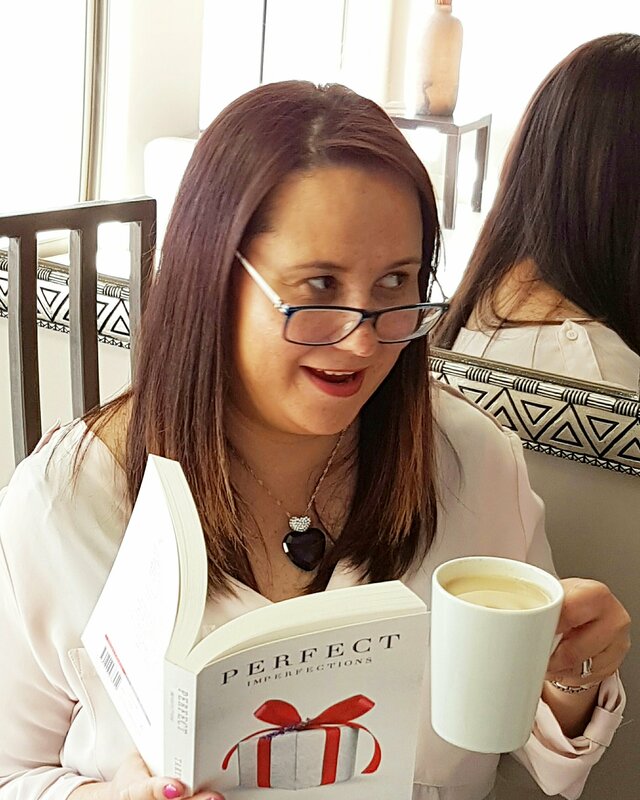 There are some new books that have either just come out or are about to be released and I’m looking forward to getting my hands on these and supporting my fellow Authors. So I thought I would share my TBR list with you. Let me know if any of these are on your list? 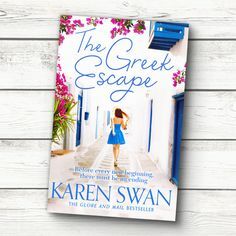 A scorching summer novel, set on a lush Greek island, The Greek Escape by bestselling author Karen Swan, is the perfect getaway for fans of Victoria Hislop and Santa Montefiore. Let me know what is on your TBR list? You never know I might need to increase mine!! For those who have read my book and follow me on social media, it’s no secret I LOVE to bake! If you have read my book Perfect Imperfections you will see I mention many delectable foodie items in the novel, one being chocolate. Recently I baked my family some chocolate cupcakes, and ever since, everyone has been asking me for the recipe. I have already shared the main Character Sarah’s real hot chocolate recipe with you, and now I will share my chocolate cupcakes too. Carefully mix in the boiling water until the consistency is even. The batter will be thin, this is exactly how it should be. Pour the batter into the cupcake tin and bake for 20 – 30 minutes, or until a knife or toothpick inserted comes out clean. Using an electric mixer, whip together the softened butter on a medium speed until creamy (about 2 minutes). Turn the mixer down to a lower speed and slowly spoon in the icing sugar/cocoa mixture until all is complete (it will resemble coarse sand). Slowly pour in the milk, a little at a time, until the desired consistency is reached (you might not use all the milk, or you may need more). Whip for another 2 minutes until light and fluffy and then ice your cooled cupcakes. Happy eating everyone and be sure to send me your pictures!